IN THE MONTH OF MAY, ON THE OCCASION OF THE 20TH ANNIVERSARY OF THE BEATIFICATION OF PADRE PIO, WE PROPOSE A UNIQUE AND EXCEPTIONAL PROMOTION: A CANVAS THAT REPRODUCES THE IMAGE OF THE STIGMATIZED CAPPUCCINO DISCOVERED ON MAY 2, 1999 IN PIAZZA SAN PIETRO. 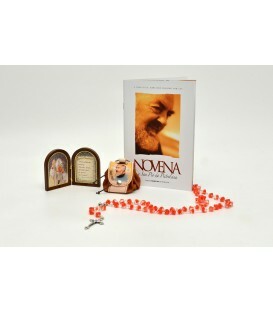 DISCOVER THE PRESENCE OF THE GUARDIAN ANGEL NEXT TO YOU, READING THE EXPERIENCES EXPECTED BY PADRE PIO AND WEARING THE "CALL ANGELS" NECKLACE. 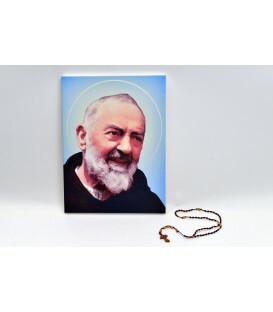 A CORRESPONDANCE POUR PRIER ET FACE AU PADRE PIO, SUR LE SEUIL DE LA VIE ULTRATERRENA. UNE CORONCINE DU ROSAIRE EN VERRE GLACÉ DE CRUCIFIÉ EN MÉTAL ARGENT ET AVEC UNE PHOTO ANTIQUE DU SAINT-ANGEL À A LIVRE HERE PARLE DE SES EXPÉRIENCES AVEC LES ÂMES DU PURGATOIRE. TOUT AU PRIX TOTAL DE 18.00 € COMPRENANT LES FRAIS D'EXPÉDITION. 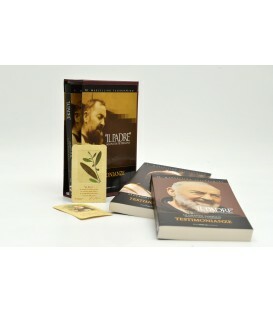 A BOOK ON THE MYSTERIES OF DEATH A BOOK ON THE MYSTERIES OF THE DEATH OF PADRE PIO WHICH INDUCES TO REFLECT, IN THE LIGHT OF FAITH, ON THE MOST GREAT MYSTERY OF THE LIFE OF EVERY MAN. WE OFFER IT IN OFFER WITH AN ELEGANT LEATHER BRACELET WITH THE PICTURE OF THE HOLY CAPPUCCINO. 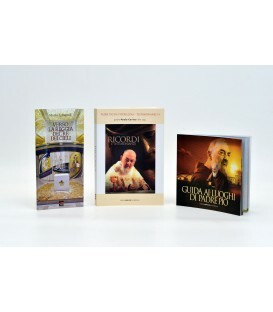 Share with the Padre Pio the tender devotion for the "Divine Infant". 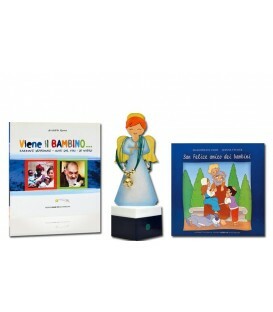 Welcome a precious shrine in the house of the Virgin Mary with little Jesus in your home. You will receive a little heart in the Homage with the image of the Baby Jesus in the arms of the holy Capuchin, to carry with you always. You can buy them for € 40.00 including shipping costs. 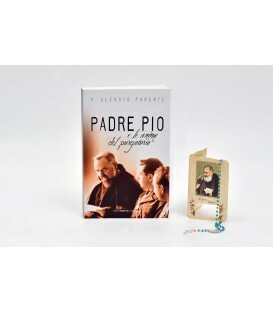 An indispensable aid to know the authentic spirituality of St. Pio of Pietrelcina, written by one of the most authoritative witnesses of his holiness: PADRE MARCELLINO IASENZANIRO. Book the text in three volumes, complete with box and we will give you an antique picture of the saint, plasticized with an olive leaf. 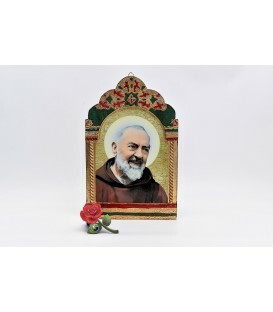 BRING IN YOUR HOUSE a precious Byzantine icon of St. Pio of Pietrelcina worked on wood with gold leaf. 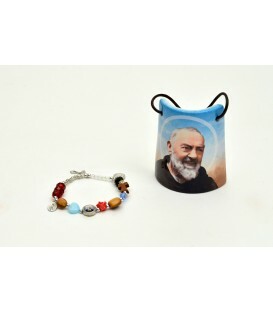 In addition, you will receive a free bracelet with the medal of the Saint and of the Madonna delle Grazie. 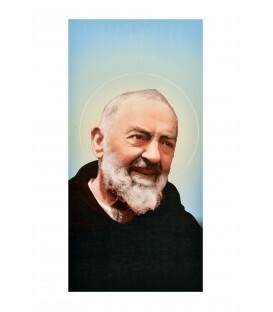 A splendid image of San Pio da Pietrelcina printed on canvas, mounted on a wooden base (30X40 cm. ), On special offer together with a rosary rope crown with wooden beads. 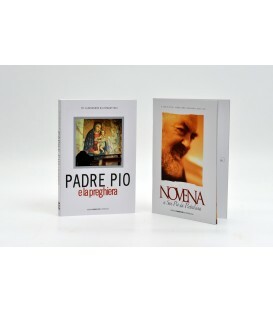 Two publications to deepen the life of Padre Pio and to meditate with his reflections, the mysteries of the Via Crucis. An opaque imperfibile: a libro di racconti missionari, the biografia illustrata di Felice da Cantalice, it frata cappuccino innamorato di Gesù bambino ed una collana "Chiama Angeli" con ciondolo dipinto a mano. TWO OBJECTS TO SENT THE NEIGHBORHOOD OF FIRST FIRST IN THE HOUSE AND IN EVERY PLACE. A TEGOLA WITH THE HOLY FACE AND A BRACELET WITH GRANTS DURING STONE, SIMPLY THE MOST IMPORTANT EVENTS IN HIS LIFE. 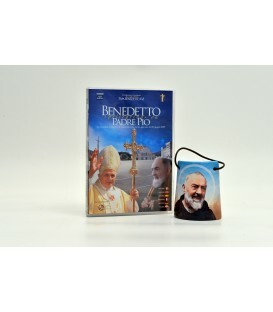 An offer not to be missed: the DVD on "Pilgrimage" by Benedict XVI at San Giovanni Rotondo and an image of Padre Pio painted on a ceramic tile.